Get the rich lustrous look of gold for a fraction of the price! 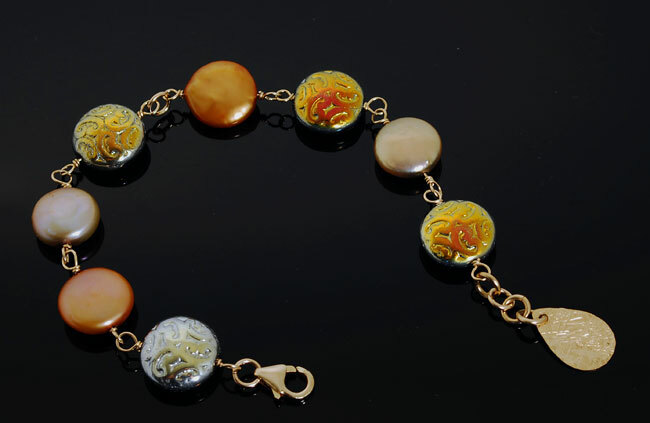 Beautiful iridescent gold tone fused glass and gold and champagne coin pearls sparkle from your wrist. Accented with a stamped gold filled tag just for fun. 7 to 7.5″ long.